Asbestos in Crayons: Should You Be Worried? 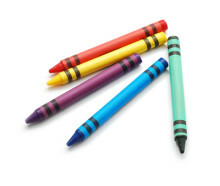 The Environmental Working Group discovered that four brands of crayons contain trace levels of asbestos. Computers, televisions, tablets, smart phones, and e-readers have become irreplaceable parts of almost everyone’s daily life, but studies indicate that overexposure to screens on these devices can cause a number of eye problems.